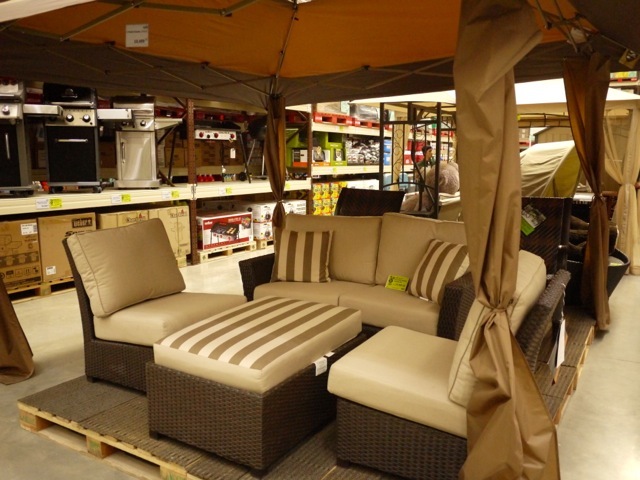 TOPAZ HORIZON: Amazing deals and steals await at Landers Superstore! 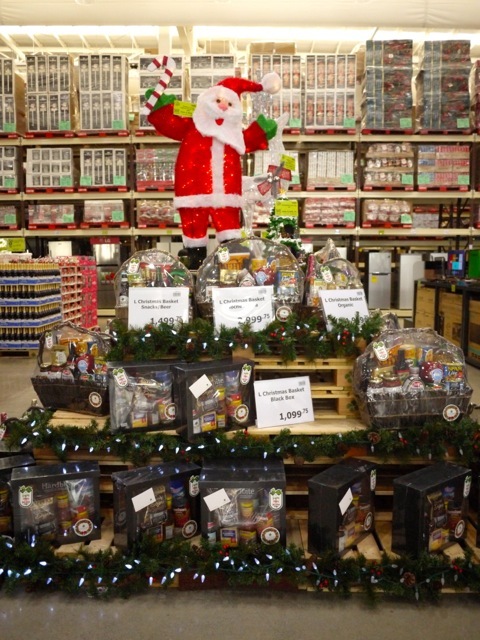 Amazing deals and steals await at Landers Superstore! 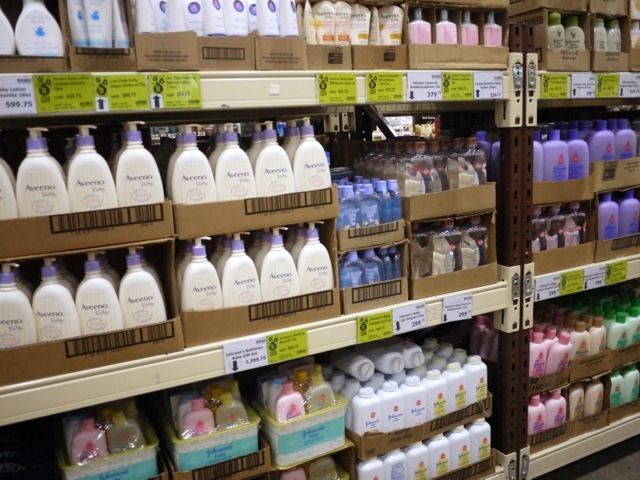 I just became a member of the newest, most amazing, membership shopping destination extraordinaire for working mommies like me—Landers Superstore! I signed up yesterday because I needed to finish up my Christmas gift shopping and I heard that Landers has truly incredible deals and steals. 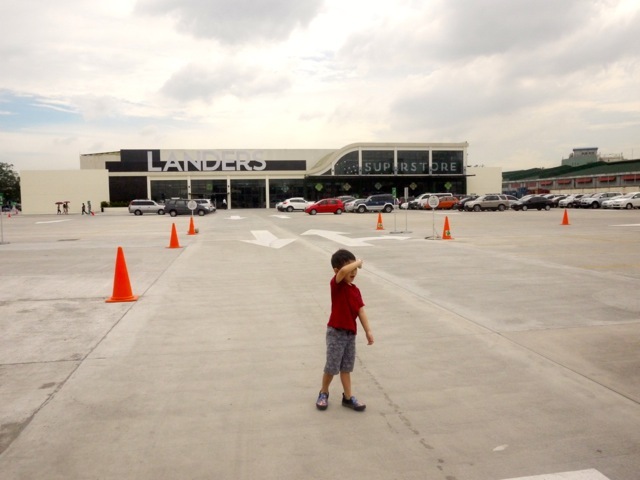 The first Landers superstore opened in Balintawak, Quezon City, but it's very far from where I live so even though many of my mommy friends loved shopping there, I resigned myself to never seeing the wonderland that is Landers. 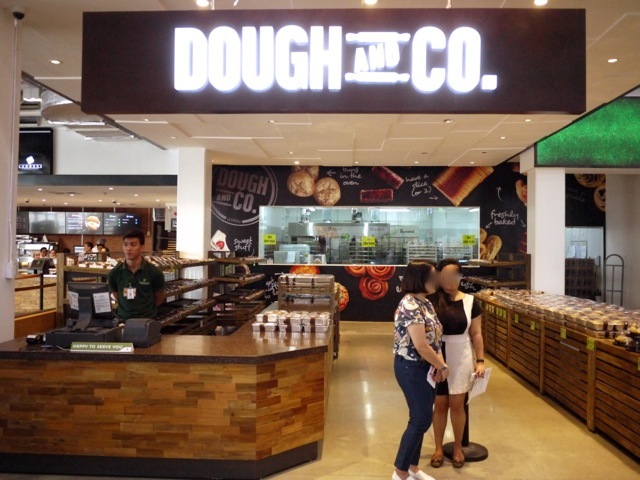 But then I heard that a second branch opened up in Otis, Manila, and this one is a few kilometers closer so off we went! Look at how big it is! Landers Otis is at 1890 Paz Guazon St., Paco, Manila. It's very near where I grew up. Pandacan, Paco, Ermita and Sta. Ana were my old stomping grounds and I haven't gone back in decades so to go back and see so many changes (and that so little has changed, too) was a shock. Anyway, Landers is very near Malacañang. It has a HUGE parking lot so you seriously cannot miss it! First things first: Sign up to be a member! Here I am getting my ID photo taken. Parang DFA lang pero mas mabilis! Now is the time to become a member because you really don't want to miss the exciting deals for your Christmas shopping! I'm done with my gift shopping and even got extra stuff for my husband and kids simply because everything was soooo affordable that my budget stretched out over more things! 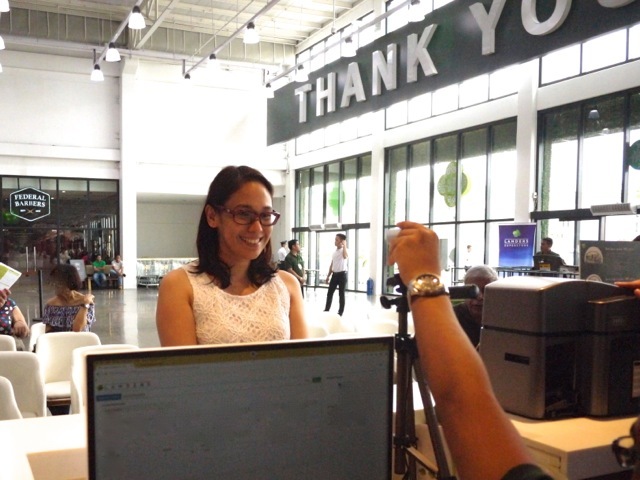 The membership card is worth P800. One (1) extension card is an additional P400. If you're a working mom who owns a business (like I do), business membership fee is P1,000, and you can get up to four (4) extension cards for an additional P400 each. 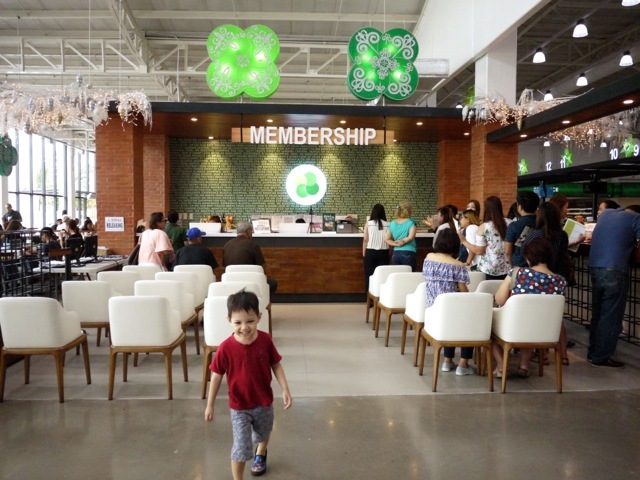 All memberships are valid for 12 months and may be renewed with the same fee. Your membership card will be honored at both Landers Superstores. And I have extra good news! Right now, Landers Superstore is offering a 20% discount on all membership fees. So that makes the Premium or Personal membership fee at P640 only and its extension at P320, while the Business membership is at P800 only and its extension at P320 also. So I will say is again: Now is the time to become a member! As I mentioned, we were at Landers to finish up our Christmas shopping. 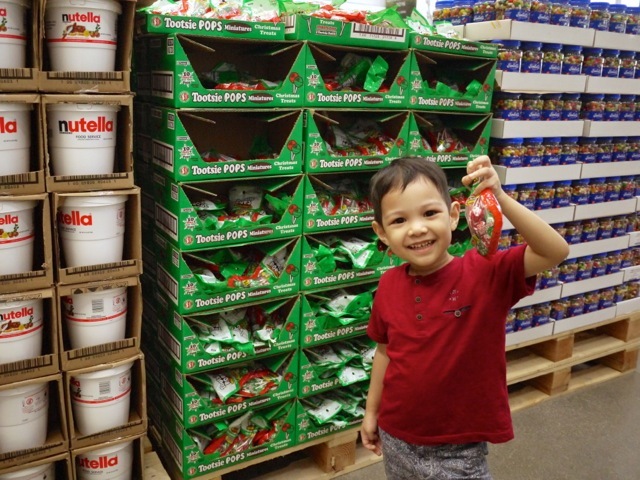 Iñigo is an expert on all things sweet so he came along to help me pick out goodies for his cousins. But before we shopped, we were attracted to the holiday decor on sale! 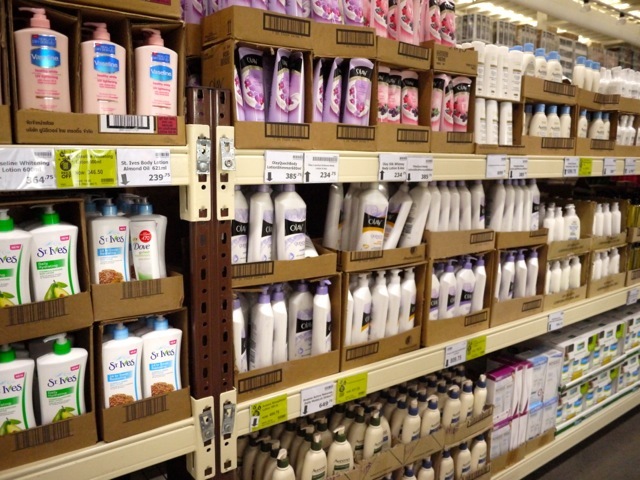 Showrooms to give shoppers an idea on how to use the items for sale. 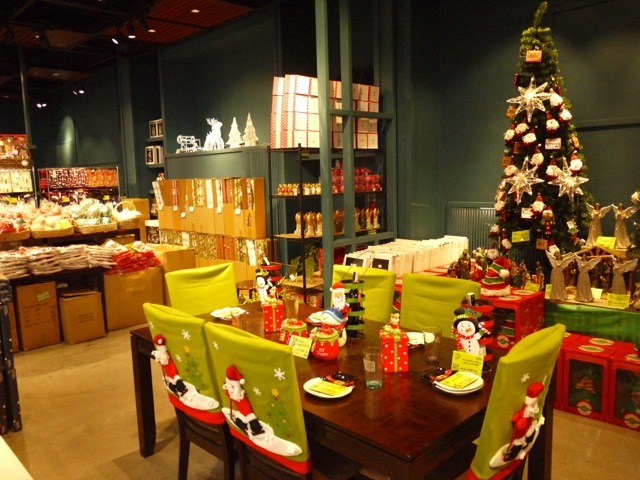 Christmas trees and holiday decor everywhere! 1. Fresh Nova Scotia Balsam Fir Trees. 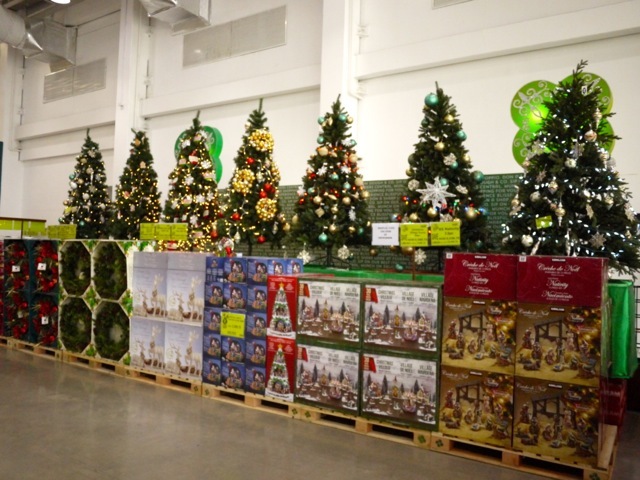 Available only at Landers Superstore, this sturdy fresh Christmas tree with its aromatic and soft needles makes the holiday celebration even more festive and unforgettable. 2. Holiday Baskets, which make a perfect gift for your loved ones! For only P2,999, the Noche Buena basket is complete with favorite ingredients perfect for a family’s Christmas dinner. Want to give a thoughtful present to friends who are health buffs? The Organic Basket, at P1,999, is filled with wholesome and healthy treats. And for those who love to sit down for a drink or two, there’s the Snacks and Beer Basket for only P1,499. We didn't buy a real fir tree or holiday baskets, but we did feel oh so merry with our finds! 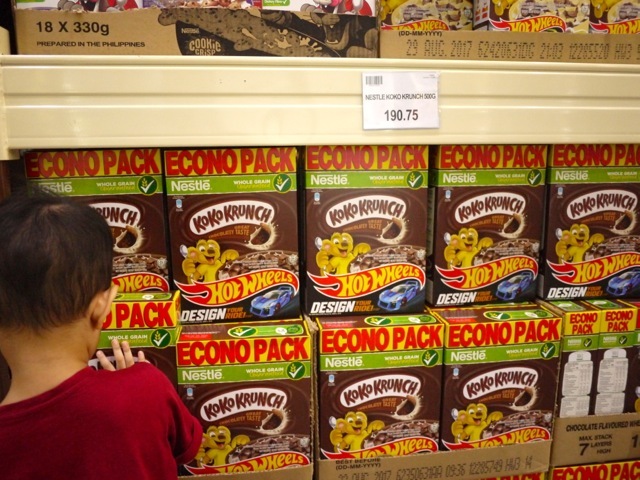 For starters, we bought a 3-kilogram bucket of Nutella for only P1,100! CRAZY! Here's the rest! 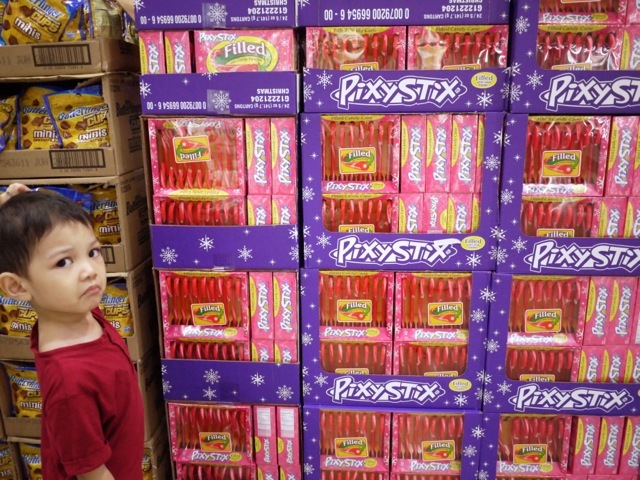 He was wondering why these candy canes were pink. He's only seen the red-green-white ones. So much candy!!! And this weekend, you really ought to sign up and shop because it's the Super Crazy Sale on December 3 and 4! For only this weekend, members can exclusively shop and enjoy 50% discounts, buy-one-and-take-one deals, and get lots of SurPrices! 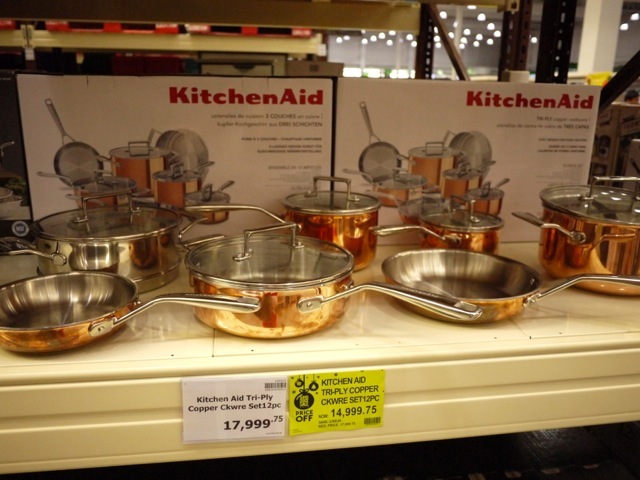 I need this copper cookware set from Kitchen Aid! Each piece was sooo heavy! I can use these FOREVER! And P15K lang! 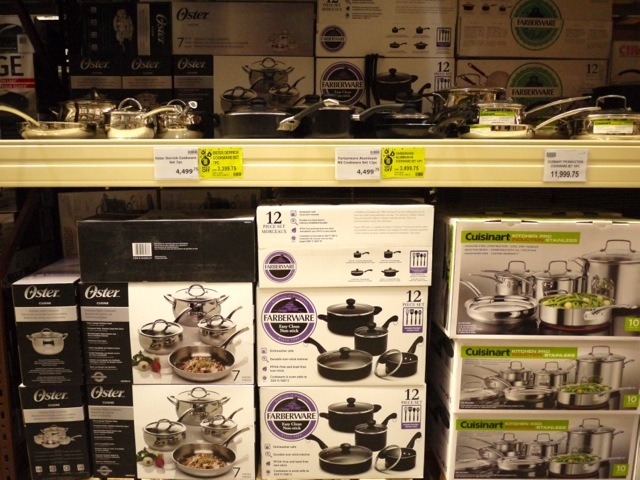 Even more affordable are these cooking sets from Oster, Farberware and Cuisinart! Gusto kong bumalik talaga! Because I'm a working mama and my kids are in school, kiddie meals can save my sanity once in a while! 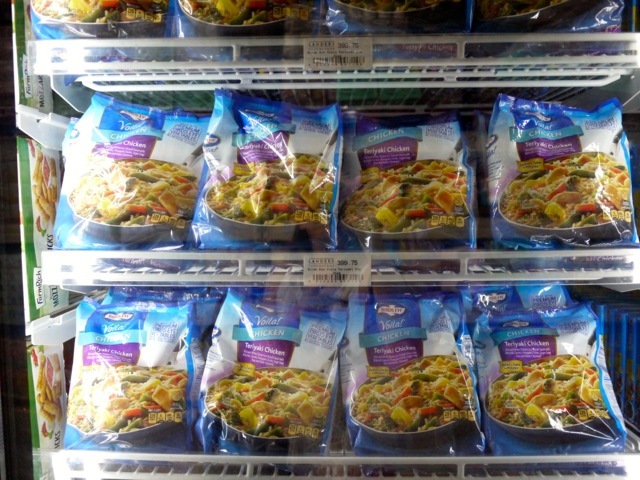 Yes for more frozen meals! A working mama needs all the help she can get! Check out the big box of cereal. It's so much cheaper here than in regular supermarkets! Gigantic bottles of skincare goodies from the best brands in the world. Affordable grooming and pampering products for babies and kids in big bottles are a treat because I have three kids! Funny Iñigo. 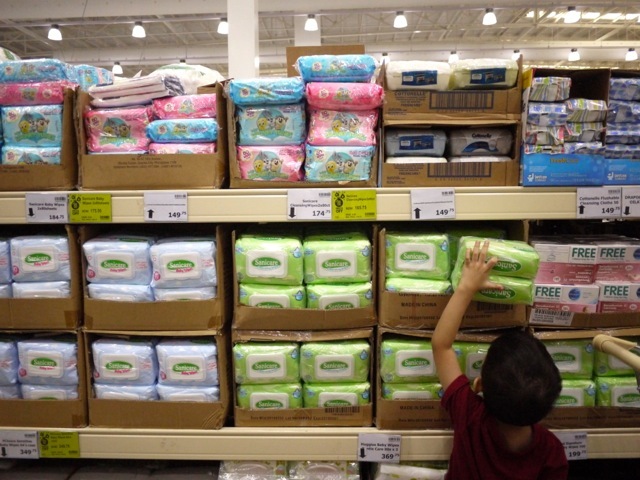 As soon as he saw baby wipes, he grabbed them. 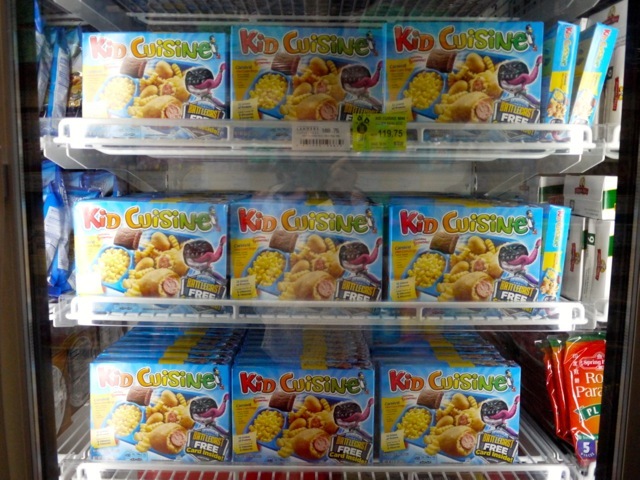 These are a must-have in any home with kids! Speaking of kids, yes, there are toys and art materials, too! 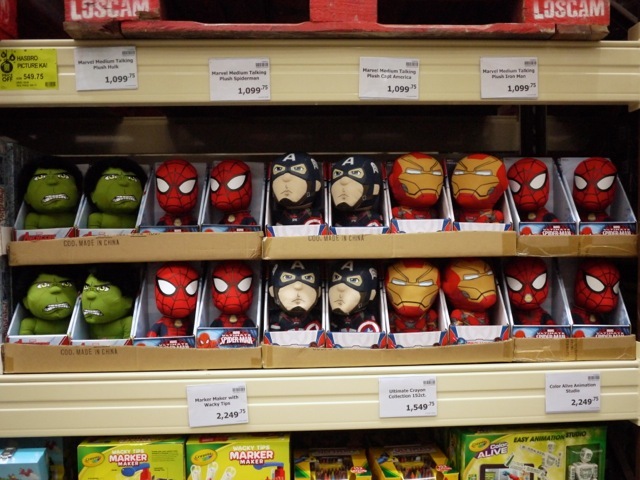 I have to go back and buy that Spider-Man plushie for Piero. Fake grass! This is actually a good idea if you want a lawn but want to conserve water. Maybe I can use it for my condo! 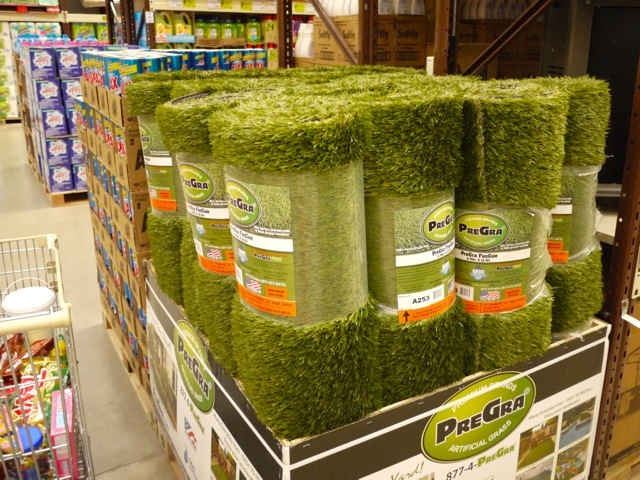 On your new faux grass lawn, plunk this. This patio set is just P25,000. It's crazy! 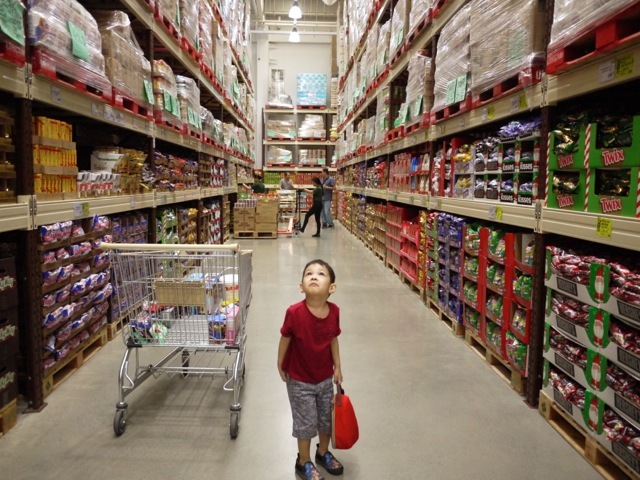 Last night, when I asked the kids at bedtime what their favorite part of the day was, Iñigo replied, "Shopping for candy with you, Mama. I really liked that big store!" Awww! And he really did. He was so happy there, he wants to go back with his Papa and brothers. 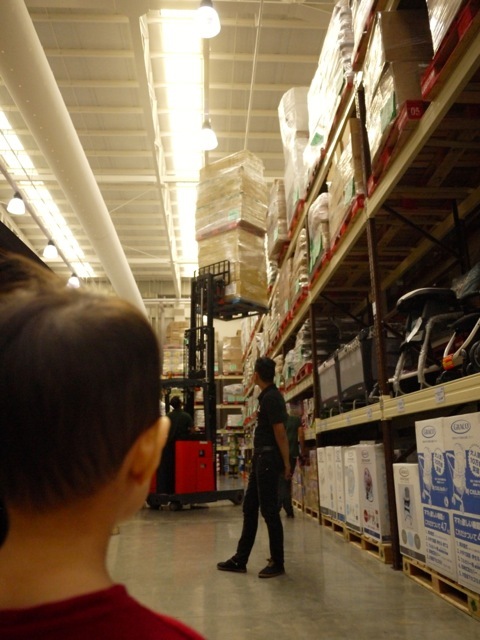 I don't like shopping with all my kids in tow (it's very stressful!) but Iñigo and I had such a good time at Landers. Because it's 8,000-square meters big, there's so much space to move around in. 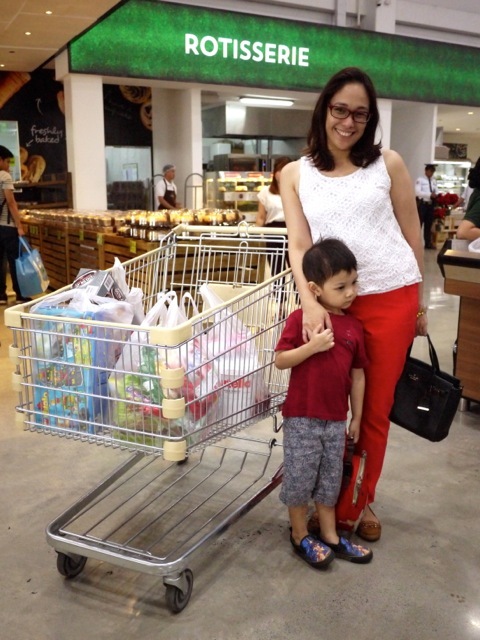 When you're a mom with malikot kids, packed grocery aisles is a nightmare. 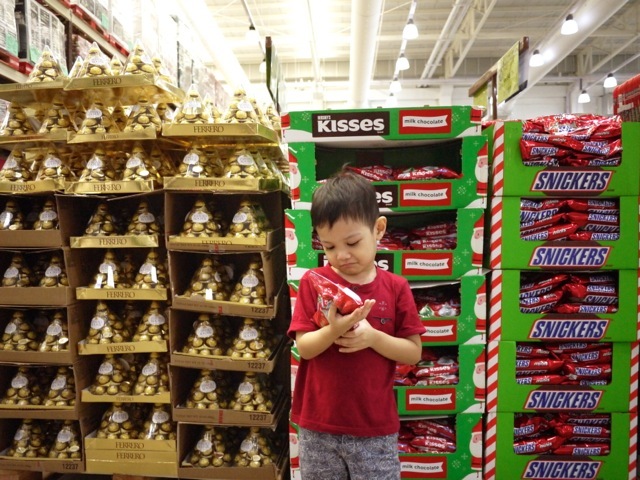 With such a vast shopping space at Landers, we easily navigated the well-lit aisles and I didn't worry too much about my kid running around. 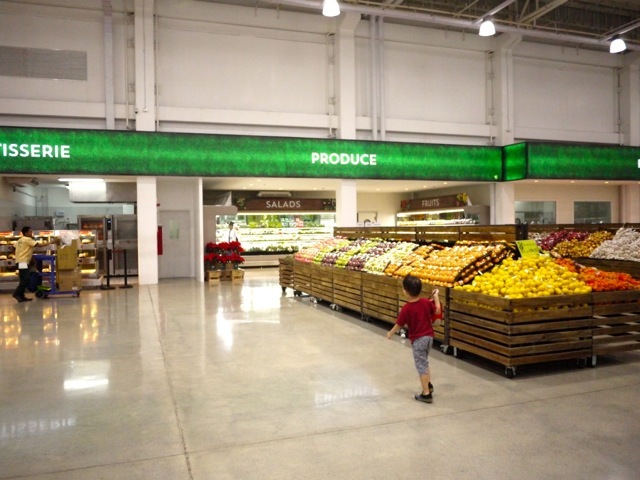 Everything fresh displayed in such a brightly lit space! He couldn't believe the size of the place! 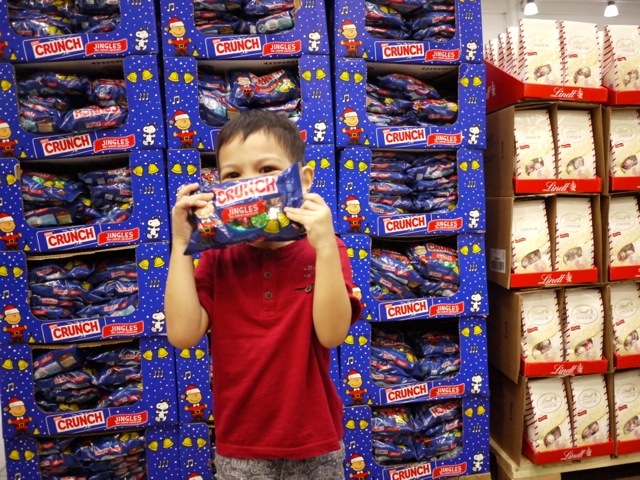 And that this particular aisle was full of candy!!! Safety first! Guards block an aisle because they were moving boxes. Iñigo was impressed. 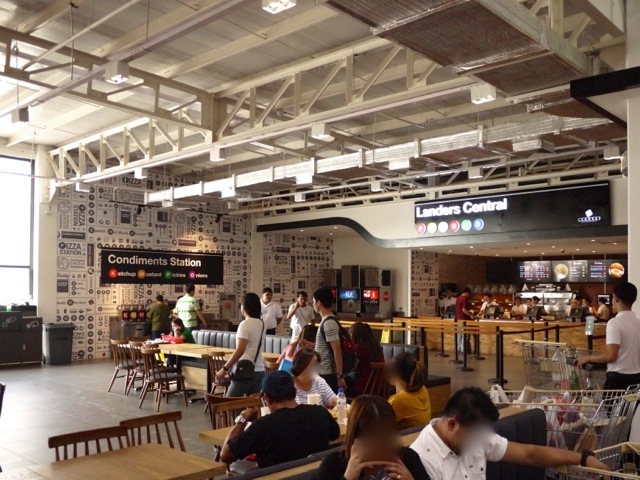 I also liked that Landers Superstore had a huge area for hanging out and eating. 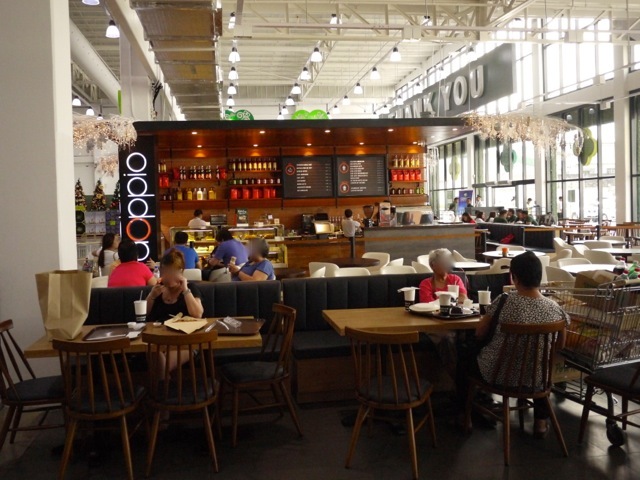 There's a lovely café (Doppio), a comfortable diner (Landers Central), and a delectable bakery (Dough & Co.). Bread baked fresh daily! Cakes, pastries and other treats are also offered. Relaxing diner for members who love fried chicken, hotdogs, fries, and pizza. Mmm, coffee! They serve pastries and ice cream, too. For husbands and kids who want to relax while we mommies shop, there's a barbershop for them to get some pampering. And Landers Balintawak, the barbershop is Talas Manileño while in Landers Otis, it's Federal Barbers. It's free for members. Freeeeeee!!! Another perk? Gasoline discounts. Yep! Landers Superstore has its very own gas station in its very big parking lot. Members get P2 off per liter of gasoline and P1.50 per liter of diesel from five-star gasoline station, Caltex. And members get this discount all year long! So if you want to avoid the nightmare of looking for parking at the mall to join scary hordes of shoppers fighting over the same brands and same Christmas promo bundles in the same crowded and narrow supermarket aisles, and then all of you will then line up forever at the cashier, then Landers Superstore is the place for you! It's definitely the superstore for me. I'm done with my holiday shopping and I never even felt any stress. Thanks so much, Landers! Landers Superstores are found at 1240 EDSA Balintawak, Apolonio Samson, Quezon City and at Otis at 1890 Paz Guazon St., Paco, Manila. 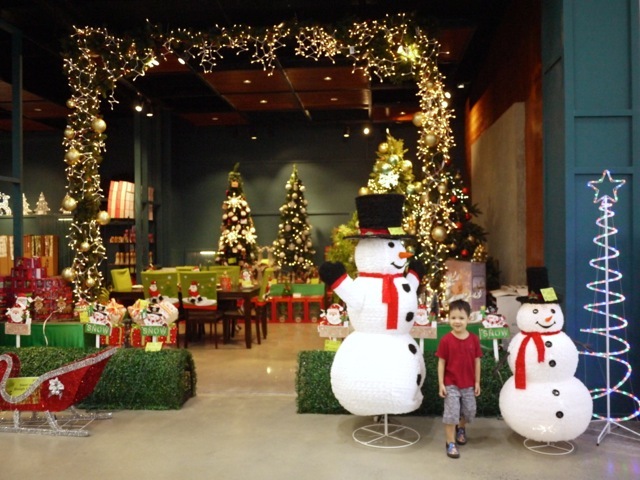 For more information and to know more about Landers’ exclusive Christmas shopping promo, visit http://landers.ph/, follow @LandersPH on Instagram, and like Landers Superstore on Facebook.